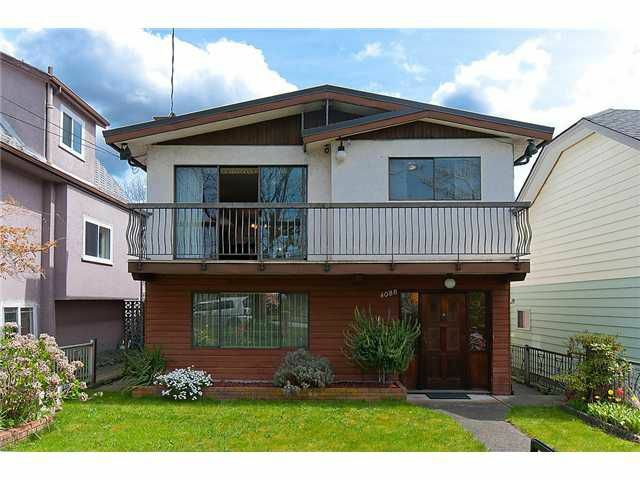 CLASSIC VANCOUVER SPECIAL, QUIET TREE LINED STEET W RT-10 Duplex Zoning. 4 Bedrooms, Recreation Room, 3 Baths with Newer Roof and Two Fireplaces - one Gas and one Woodburning (never used! )Features include Beautiful Hardwood Floors, Built in Vacuum, Large Glassed in Balcony plus a Sundeck Great for Entertaining, Southeast Facing Garden with Lots of Light and a Fully Fenced in Yard for Fido. ORIGINAL OWNERS - First Time on the Market. Measurements are approximate, Buyer to verify. Close to Schools, Transportataion and Services. Great Opportunity, Call Today for Your Private Tour.